The reason I know Facebook Messanger does this is because I used a second option the more technologically enlightened among you could consider, which is to use the Privacy Guard built into CyanogenMod Android, and possibly other ROMs, to restrict all its app permissions to “Always Ask”. By doing this, I was able to see what Facebook Messenger was up to. Any time the phone rang, or I made a call, up would pop a message asking whether I would like to permit Facebook Messenger to read my contacts database and call log. Same thing when I use Google Hangouts to talk to people on Google Plus. So I just made all the permissions “Denied” instead. But now that I have Conversations installed, I think I’ll just uninstall it. For more information on Privacy Guard, head over to Julian Evans’ blog post “How to use Android Privacy Guard on CyanogenMod 11”. 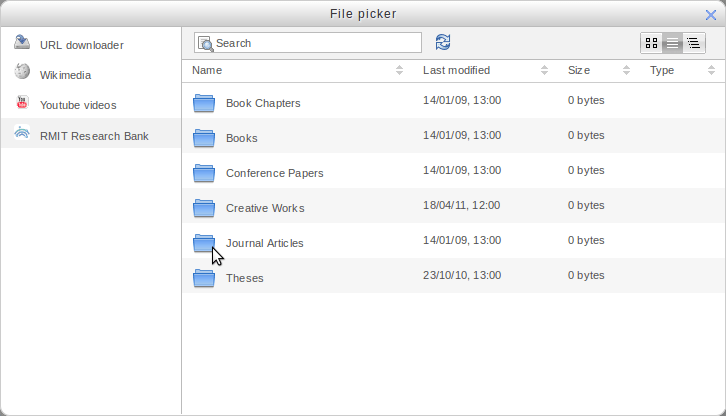 Following on from my Moodle repository escapades, I’ve now converted the Fez repository plugin into one that can search and link to items in Koha, the open source integrated library system (ILS). 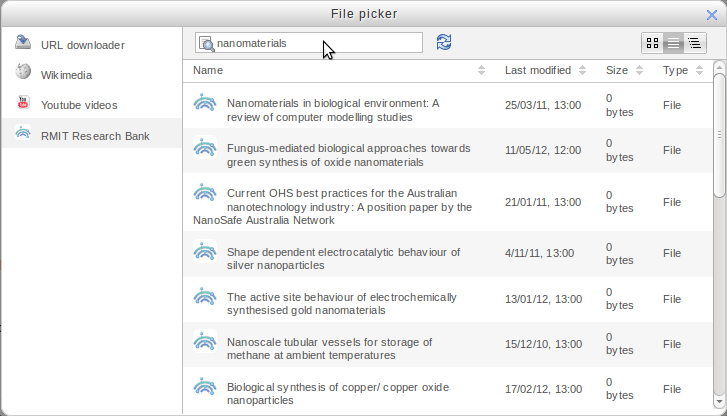 Koha repository showing the standard Koha testing search results. To set up the Fez repository plugin in Moodle, simply give it the URL of your Fez repository, and how many records per page you want. The collections available in this Fez repository. 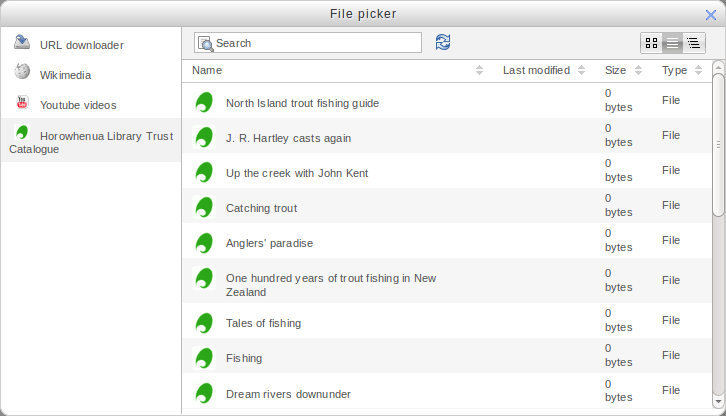 Fez repository search results and the record listing of a collection are displayed with the same interface. 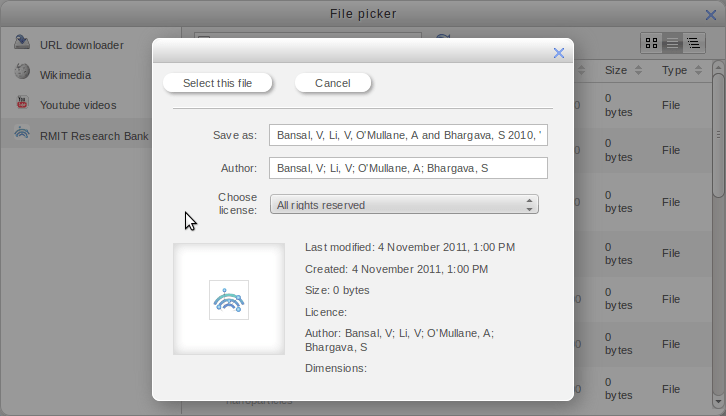 Selecting a record works as expected - including the title, author, date created and date modified metadata. So far, it only supports using external files, and the resulting links are links to the Fez record view, not the attached files. This also means that you still have to add the title and description manually, even though that metadata is present in the metadata of the files presented by the repository plugin! I hope to somehow fix this with work on MDL-32130 on the Moodle bug tracker. Today I wrote a text filter for Moodle 2.2 which will help Moodle teachers and admins cite documents from a Fez digital repository. Fez is a digital repository written by University of Queensland library staff for the university’s digital assets and for use as an open access research repository. Taylor, William (2005) (FAB_15_2_095) Lest We Forget: the Shrine of Remembrance, its redevelopment and the heritage of dissent. Fabrications : The Journal of the Society of Architectural Historians, Australia and New Zealand, 15 2: 95-112. Then, in our content, we insert a search term or a Fez document PID into a placeholder using double curlies, e.g. 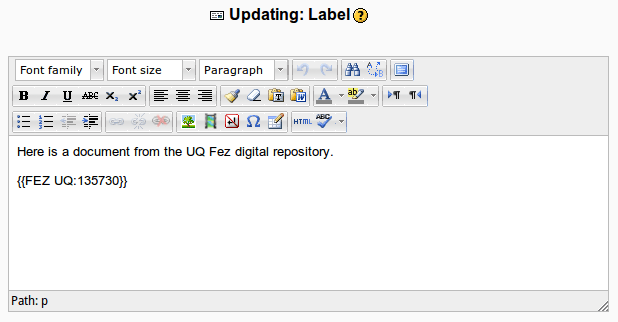 Inserting a Fez document into Moodle content using a placeholder. A Fez document citation displayed in Moodle. It would not be very difficult to convert this into a repository plugin that simply returns the URL to the document, or to extend or clone this filter to talk to other digital repositories, such as EPrints, DSpace or Fedora. TODO: add a setting to control how many search results you want to display. I just got back from 3 days of Moodle Moot in Hamilton, officially the hickest town in the whole world! I gave a talk on digital repositories, got to hang out with and learn heaps from a whole bunch of cool Moodle people in NZ and also from Australia (including the big Kahuna Martin himself), Fiji, Canada and elsewhere. Photos are up on flickr with the moodlemootnz07 tag. I want to talk to whomever developed the voice menus for 777, because I want to offer some free constructive criticism. I guess it is because I develop software for a living and dislike using poorly thought-out solutions. The only time I (and probably loads of other people) ring 777 is when I (we) want to top up, probably at least half the time by credit card. If you check your logs, I’ll bet topping up is what people are doing at least 75% of the time. Blah Blah Blah random announcement that I can’t skip by pressing a button. Too bad if I’m low on battery life. 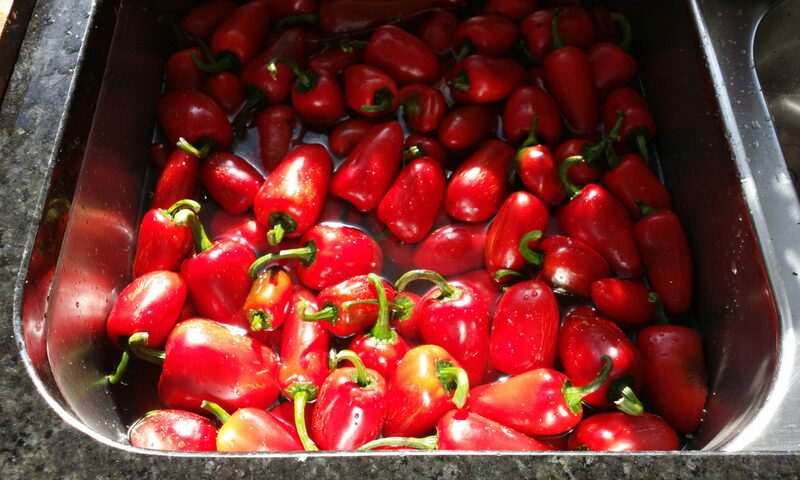 “…to top up your mobile, press 2” I press 2. “…to top up using a credit card, press 2” I press 2 again. So far so good. “To top up, press 1. For customer services, press 2.”This menu is completely redundant and should be removed. At this point, I am about to indicate (for the second time), that I want to top up my mobile with a credit card. Why would anyone with an IQ greater than a cabbage want customer services at this point? Customer Services is available by pressing 9 at the first menu.